*See Shop for financing details. Little Shop of Motors LLC Is Your dealer Alternative! 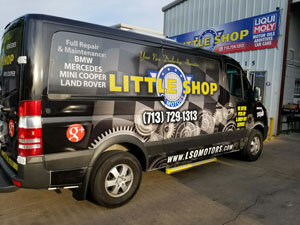 Edward Morales, Owner and Operator of Little Shop of Motors LLC, has been providing customers in the Houston, TX 77074 area with high-quality automotive maintenance and repair services for over 20 years. Our ASE Certified Master Technicians allow us to diagnose and repair a wide range of problems, as well as performing regular maintenance services to prevent more serious repairs in the future. We provide a range of services, including Audi Service & Repair, Land Rover Service & Repair, Mercedes Benz Service & Repair, Mini Cooper Service & Repair, Volkswagen Service & Repair, BMW Service & Repair, General Services, Car & Truck Care, Undercar Services, Alignment, Brakes, Tires, Engine & Transmission, Engine Maintenance, Transmission Services, Electrical Services, Electronic Services, Miscellaneous Services, Towing, Maintenance Services and Extended Warranty Accepted. We're proud of our expert technicians, who have years of experience providing Audi, BMW, Land Rover, Mercedes Benz, Mini Cooper, and Volkswagen repair and maintenance services. They have the knowledge required to diagnose your problems, and to find affordable solutions to get you back on the road quickly. To learn more about our services, call us at 713-729-1313 or email us today. We're looking forward to earning your trust as a friendly, honest and reliable alternative for your auto maintenance and repair needs in Houston. Very professional, friendly, and helpful with advice on my Smart Car muffler. They did what was in the best interest of me, the customer. I appreciate them for looking out for me. Thank you. I have 2 Mini Coopers, a Cooper S hardtop and a Countryman S all4, Little Shop of Motors is the only shop I trust to take my cars to. I had a couple of bad experiences with other shops in the past, not anymore, Edward and his crew are very knowledgeable, costumer service is A+. 100% recommend. Best BMW care in town, minus the dealer prices, Ed and the gang are the most professional mechanic crew in town. Ed will go above & beyond to make sure you are satisfied! I'm a customer for life. He picked my SL500 up (about 20 miles away) fixed it & then offered to deliver it! Wow wow, I am so glad I found LSOM for both my BMW's service needs. Ed and his team are very down to earth and laid back people. My X5 requires rare differential fluid that guys at LSOM supplied within 30 minutes. Shop is conveniently located of I-59 and very accommodating if you need to wait....you can get a free massage there too :) Ed and team thank you bunches for all your help. You guys ROCK! I am so happy I found this place and the service is great! That's why I love to come back to have my car serviced! Excellent service and very knowledgeable mechanics. Edward's shop is top notch. I have been very satisfied with the quality of work this shop puts out when working on my vehicle. They were very helpful and answered all my questions. They made sure I was thoroughly satisfied before leaving their business. 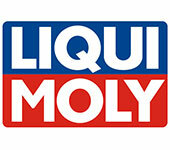 Highly recommend them for the above and also because they specialize in working on European vehicles. Best mechanic I have ever had! Honest and true to their work! If you have a foreign car, look no further than Little Shop! I've been using Edward for 15 years! He's extremely dependable, always honest with the work that was done. Wouldn't even doubt going to another mechanic. Incredible prices doesn't even come close to dealership quotes. Every question or concern I have is always addressed. Best Mechanic in Houston ! Great place. It was my first visit after reading other reviews. I would definitely recommend. Best BMW shop in Houston. I have been to 5 other shops around town. This guy is the best hands down. Fair pricing, Awesome Service and no BS! ...Being a girl, it's important to find a decent mechanic who isn't going to take advantage of you simply for being a woman who doesn't know about cars. This is your place! Ed went above and beyond and ended up far exceeding my expectations! If you have a Euro vehicle that needs Servicing and need a skilled and genuine individual working on your prized possession, you may want to get in contact with Ed. His level of personalism and professionalism were amazing! I will never go anywhere else to have my BMW serviced. Thanks Ed for everything! Highly trusted and recommended, down to earth and actually cares about their customers. Edward takes extra special care of you and your vehicle at his shop. Great place to service your vehicle. I'm a loyal customer! I've used this company for over 10 years now. I followed them from their old location. I've had no problem referring them to my friends. They're very reliable, trustworthy, honest and friendly. The owner is awesome! I've been using Ed for at least 6 years. I needed a mechanic to service my 2009 BMW 535 when my factory service warranty expired...Over the years I can honestly say not only has Ed been the best mechanic I have ever worked with, he has become a good friend. If that doesn't speak for itself I don't know what else to say. Check out Little Shop of Motors you will not be disappointed!! I have been going to Little Shop of Motors for over 15 years. Whenever my BMW goes out the warranty, I only take it here. By far the best value for the best qualified shop in Houston. Very honest and has always treated me well. More than half price of BMW dealerships and equal quality.